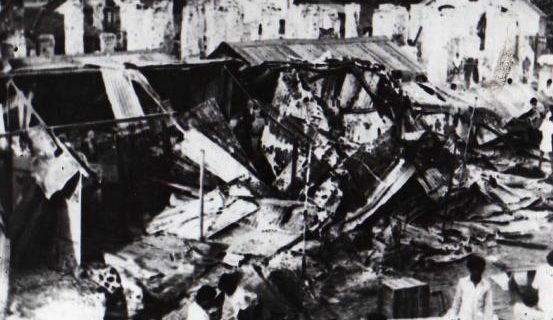 From July 24th to the 29th of 1983, more than 3,000 Tamils were killed and over 150,000 become refugees, many fleeing the country to India and the West. Prison guards allow Sinhalese génocidaires into the wards holding Tamil political prisoners- 53 Tamil political prisoners are tortured and killed. 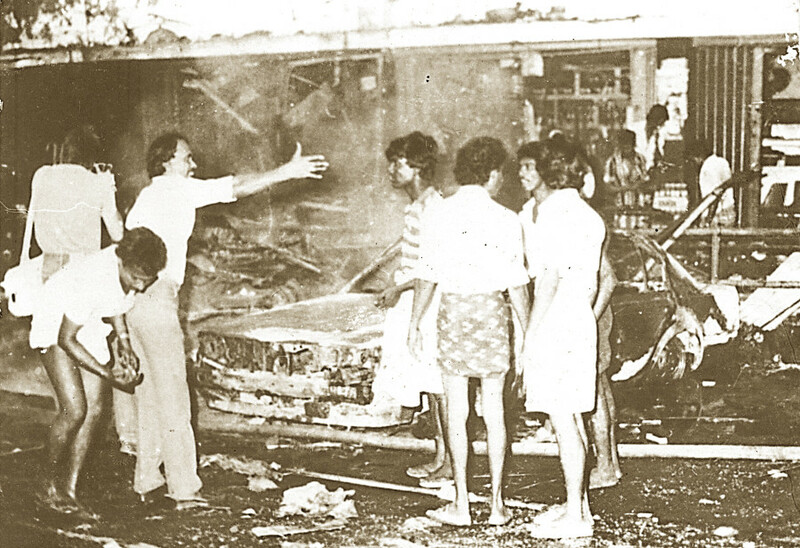 This riot was seen as the one that sparked the Sri Lankan civil war, but many fail to realize that Tamils have been fighting for their rights, lands, and freedom since the British had given Sri Lanka its ‘independence’. It is of utmost importance that we remember that this is not the beginning of the genocide against Tamils in Sri Lanka but rather, after this incident is the beginning of the armed conflict phase of Sri Lanka’s genocide against Tamils. These killings were clear examples of the systematic fashion that the Sri Lankan government has been conducting their war crimes and crimes against humanity. 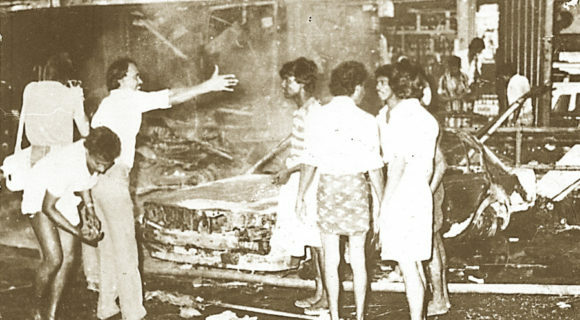 The significance of Black July is that the protests and articulation of the Tamils voice in Sri Lanka, about the discrimination has routinely been met with violence by the state. http://www.tamilyouth.ca/tamilmuseum/. The website has an interactive timeline in which one can see the all of the events that have contributed to the genocide of the Tamil people in Sri Lanka. 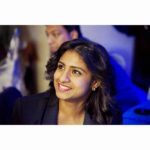 Lishma Ravinthiran is a final year Political Science student at Ryerson University. She is a human rights activist who is passionate about her nation, Tamil Eelam. Lishma is the current Human Rights and Advocacy director of CTYA. This entry was posted on Friday, July 20th, 2018 at 11:04 am	and is filed under History & Culture, Uncategorized. You can follow any responses to this entry through the RSS 2.0 feed. You can leave a response, or trackback from your own site.